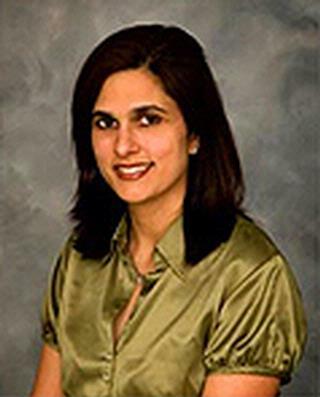 Dr. Bushra G. Fazili received her undergraduate Degree from the State University of New York at Stony Brook, and her medical degree from Upstate University in Syracuse, New York. She trained as a resident and Chief Resident in the Department of Internal Medicine, University of Rochester School of Medicine. She also received her GI Fellowship from the University of Rochester and is Board Certified in Internal Medicine and Gastroenterology. Dr. Fazili has received many honors and awards including the Milton S. Lauria Award (an award given to young residents), an Honors College Scholarship, and the Howard Hughes Undergraduate Research Fellow Award. Dr. Fazili's gastroenterology interests include colorectal cancer screening, gastro-esophageal reflux disease, inflammatory bowel disease and diseases of the liver. Dr. Fazili is a member of the American College of Gastroenterology, the American Gastroenterology Association, and the American Society of Gastrointestinal Endoscopy. Dr. Fazili enjoys traveling with her husband and two children.